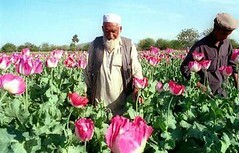 It will be a banner year for poppy growers in Afghanistan, largely due to a new kind of seed. The new poppy seeds allow farmers to almost double the output from each plant, said Helmand's provincial police chief Nabi Jan Malakhail. At harvest, collectors cut the bulb of the plant, allowing the raw opium to ooze out. 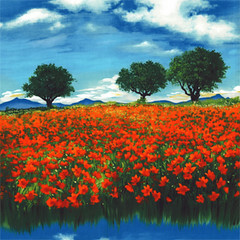 This resin dries and is collected the following day. Malakhail said the new seeds grow bulbs that are bigger than usual and can be scored twice within a few days, thus doubling the quantity of raw opium. The plants mature in three to four months, rather than the five months of the previous seed variety, allowing farmers to crop three times a year instead of just twice.